Orthomolecular derives from the Greek ortho, which means "correct" or "right" and molecule which is the simplest structure that displays the characteristics of a compound. So it literally means the "right molecule". Prof. Linus Pauling, two-times Nobel prize winner, coined the term in 1968 to help him express his belief that disease could be eradicated by giving the body the "right molecules" of nutrients through good nutrition. Basically, a clinical nutritionist which is the same science studied by orthomolecular nutritionists, believe that individuals and infirmities are unique. Each of us eats distinctly different foods grown in varying soils yielding differing nutrients. Each of us has a unique body shape which we exercise differently in varying work and play environments. And each of us has different physical and emotional stresses. So, while everyone has the same list of required natural substances such as vitamins, minerals, trace elements, amino acids, enzymes and hormones, the healthy amounts are determined by lifestyle and environment. It is the relative amount of "right molecules" that is important to each of us as individuals. When they get out of balance, disease results.Disease therefore results from excesses and deficiencies of the natural substances our bodies need so that they can grow and replace tissue. Treatment of disease by doctors of nutrition, then, is aimed squarely at bringing these natural substances into balance. What should nutritional medicine be used for? 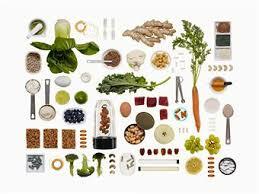 Clinical Nutrition has a whole range of applications that span both conventional and complementary medicine. There are those who would argue that everyone needs to take regular nutritional supplements on a daily basis, which others suggest that nutritional supplements are only needed in states of proven deficiency such as an iron deficiency anaemia. 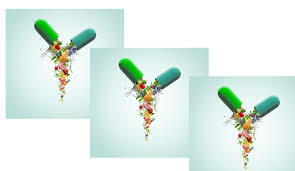 Certainly, nutritional supplements can be effectively used as agents that modify disease processes. For instance, there is sound evidence that zinc taken orally, if you are suffering from colds or flu, will shorten the duration of the illness and improve symptoms. Increasing the consumption of polyunsaturated fatty acids, usually derived either from plants or more commonly fish oils can be of real benefit in reducing the levels of harmful fats in the blood, controlling and modifying the inflammation experience by patients with rheumatoid arthritis and even help symptoms and reducing relapse rates in inflammatory bowel disease such as ulcerative colitis and Crohn’s. Studies suggest that Vitamin C probably does treat (although it does not prevent) colds and Vitamin B6 is of value in premenstrual syndrome and possibly autism, while Vitamin E may be of value for patients with angina. We also know that folic acid, taken before and during pregnancy, will reduce the rate of spina bifida. In general, the intake of folic acid in most westernised industrial nations falls well below the recommended nutritional intake; one American study suggested that most adults were only taking half the RNI for folate as part of their regular daily diet. 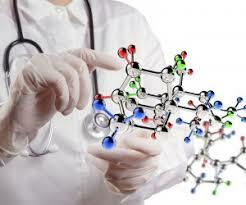 Nutritional medicine, therefore, can be very important in the treatment and prevention of a variety of problems. The recommendations made by some nutritionalists frequently involve quite complex and expensive supplement regimes. Many people claim benefit from such approaches, and indeed they may be of genuine benefit. However, as is the case with the practical application of many aspects of complementary medicine, we are often unclear about the scientific validity of the very specific recommendations that may be made by some practitioners. The majority of people taking nutritional supplements will do so on the basis of advice from health magazines, a friend, or perhaps someone in a health food shop or pharmacy that may sell various nutritional supplements. Many people will already be taking cod liver oil or glucosamine for their arthritis and menopausal women frequently take extra calcium in order to avoid osteoporosis. The majority of nutritional supplements are therefore self-prescribed. Nutritional supplements may also be used as part of the treatment regimes prescribed by a whole variety of complementary practitioners, including herbalists, homoeopaths, osteopaths and chiropractors. Some therapists specialise in the investigation and prescription of nutritional supplements, in particular those who are members of the British Association of Nutritional Therapists, Registered Naturopaths and medically qualified doctors who are members of the British Society for Allergy, Environmental and Nutritional Medicine (BSAENM). There has recently been a lot of discussion about the safety of nutritional supplements. There is no doubt that some nutritional supplements taken in high doses can produce adverse reactions. For instance, extra Vitamin A is certainly not recommended in pregnancy as it may cause abnormalities in the foetus. High doses of Vitamin C can cause diarrhoea. In general terms nutritional supplements taken over 2 or 3 months are very, very unlikely to cause adverse reactions. However, supplements taken over a long period of time, such as B6 for premenstrual syndrome have, in a very small number of cases, been reported to cause nerve damage. This has usually involved very high doses, far higher doses than those usually recommended by responsible nutritional therapists. Excessive doses of zinc and selenium have been reported in some instances to suppress the immune system and there has also been a suggestion that prolonged use of evening primrose oil may make some forms of epilepsy slightly worse. However, it is important to stress that in general nutritional supplements are very safe. There have, for instance, been no reported deaths due to nutritional supplementation in the United Kingdom, a situation that is dramatically different to that from the prescription of anti-inflammatories for arthritis. Dr. Georgiou is a qualified Clinical Nutritionist and a Naturopath with an honours degree in the Biological Sciences, a 3-year Diploma as a Nutritional consultant, and is a Metabolic Typing Consultant and a member of the British Association of Nutritional Therapists (BANT, UK).